As Lent begins today, I’m embarking on a week-long Hunger Awareness Challenge. I read about this challenge in Bread for the World’s 2011 Offering of Letters kit. It’s based on a Global Hunger Challenge that was organized last year by Inter Action. The premise of the challenge is simple: An estimated 1.5 billion people live on less than $1.25 a day – but what does this mean in our context? What if we could only afford as much food as the average Haitian? My husband decided to take up the challenge as well and he will later post his experiences on his blog. However, we decided to use the $34.33 budget for a full 7 days. In comparison to hunger in our own country, the maximum amount that a single person can receive on food stamps per week works out to be around $46 (source). In total this came to $34.42, just 9 cents over budget. I could have made budget had I opted for a second can of cannellini beans instead of the organic kidney beans, but I didn’t want to hold up the line while I made this exchange. My biggest sacrifices will be spending a week without coffee, tea and wine, but I’d rather go organic on some food and do without these luxuries. Next week I’ll share my post-challenge reflections, low-cost recipes and I why I think this challenge is important in light of drastic budget cuts our government is trying to push through that will hurt poor and hungry people. 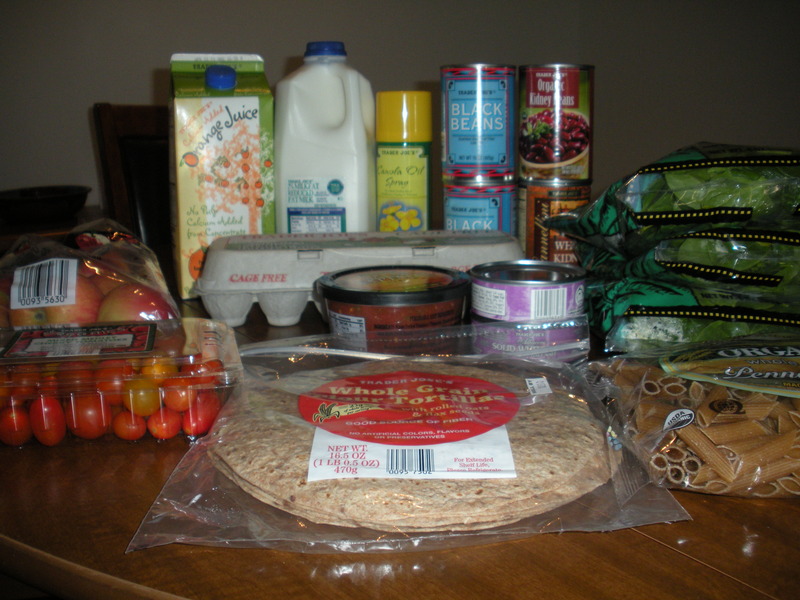 This entry was posted in Becky's Activism, Healthy Living and tagged activism, budget eating, budget grocery shopping, healthy eating on a budget, hunger, poverty. Bookmark the permalink. Very interesting post Becky! I’ll be curious to see how the experience is. Are you allowed to use items you already have on hand (ie: eggs, butter, etc)? I’m assuming not? Wine is not a luxury.